Peggy Brown Workshop in Sept.
June 13, 2017 — Join us for a Centered Riding and Driving Clinic with award winning rider, certified trainer and instructor, Peggy Brown on Monday, September 11. She will teach 50-minute riding lessons in groups of four ($60) where riders will learn to become more balanced and effective riders. Auditors welcome – $15 half day (9 am – Noon or 2 – 5 pm), $25 full day. For more information and to register, please contact Tonya Zimmer at 440-708-0013, or tzimmer@fieldstonefarmtrc.com. Centered Riding founder Sally Swift developed the principals of Centered Riding (Breathing, Soft Eyes, Centering, Building Blocks and later Grounding) as tools to improve the balance and effectiveness of the rider. There are Centered Riding Instructors worldwide that can help you along the journey that started over 30 years ago. Some would say Sally Swift she was ahead of her time. Peggy Brown is an Advanced Level IV Centered Riding and Centered Driving Clinician from Toledo, Ohio. She holds a Bachelor degree in education and has trained horses and riders for more than 30 years at her stable, Walnut Hill Farm. Peggy’s strong belief in good foundation training and application of physical education techniques to riding and driving, has helped her students succeed at both local and national championship levels. 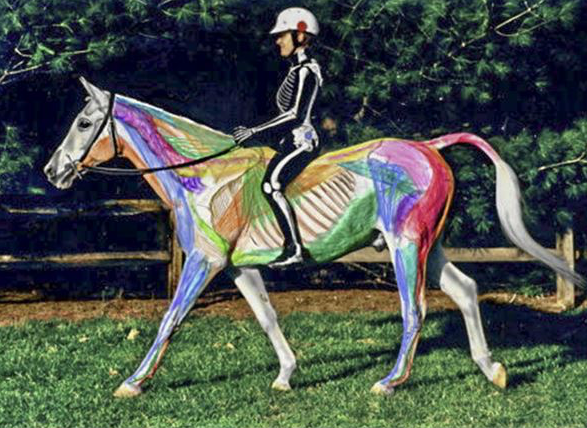 Mrs. Brown, a versatile clinician, has joined with Susan Harris to present clinics and demonstrations in Centered Riding, Centered Driving, Anatomy In Motion, safety, instructor training, and horsemanship throughout North America, Australia, Europe, Iceland, Egypt and the UK. She is certified with the American Riding Instructor Association as an Instructor Educator and Expert Instructor in multiple disciplines, and serves on the ARIA’s Testing Staff. Mrs. Brown and horse Ulie, competed in western, hunt seat, jumping, and dressage competitions as well as driving competitions, and were long-listed with USET for three years in Advanced Combined Driving. Peggy Brown has published articles in several equine magazines including The Whip and The Chronicle of the Horse. In 2005, Peggy Brown was honored as Riding Instructor of the Year by the American Riding Instructor Association.